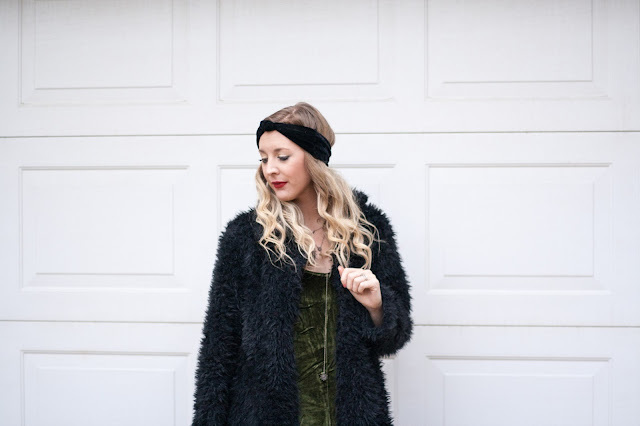 Is there anything more festive than a velvet dress + a fur jacket?! I think it's an unbeatable combination for any holiday party/event! It's also a great option for New Year's Eve. 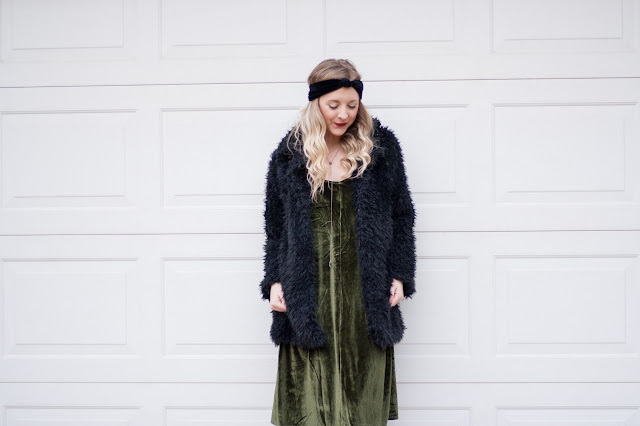 This Zaful green velvet dress is the perfect Christmas piece. I love it's vintage style and nice, warm green shade! 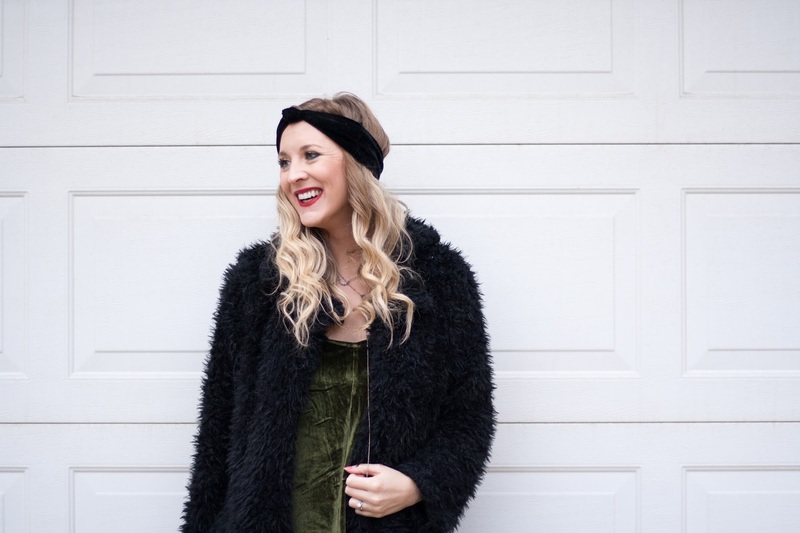 I'm soo happy that fuzzy faux fur pieces have been trending this year. They're fun and add character to any look. 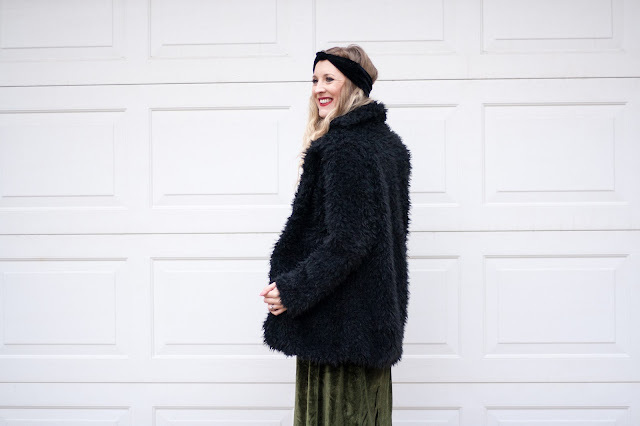 This black faux fur coat is from JustFashionNow. I've been seeing a lot of items online from JustFashionNow that I really like! So, I'm really excited to be collaborating with them and reviewing their items! This coat is exactly what I hoped it would be. It looks the same as it's online image and it's even warmer than I thought! I'll wear it as a jacket and not in place of a winter coat because I don't think it's quite warm enough. They have it in a couple different colors too! I also want it in pink. I receieved 2 super cute vests from them too that I'm going to be featuring very soon! How's your season going?! Our countdown to Christmas is officially on! I've received product from Zaful and JustFashionNow. All opinions are 100% my own. Thank you for supporting the companies that support BG by Christina.